The Carpenters Story premiers at the Fringe to take you on an emotive journey through the career of one of the world’s most successful duos. 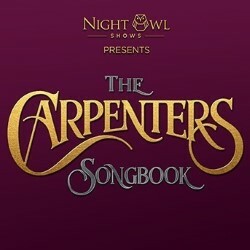 This new groundbreaking show-umentary format gives a fascinating insight into The Carpenters and their music. Both poignant and uplifting, experience all the hits as delivered by the sublime Charlotte Brereton who returns to the Fringe following critical acclaim and sell-outs portraying Joni Mitchell in 2017 and 2018. Includes Close to You, Top of the World, We’ve Only Just Begun and more. 'Crystal clarity' **** (BroadwayBaby.com). 'Impressive vocal talents' **** (SouthsideAdvertiser.biz).